M.SUNIL RAJA, a native of Nagercoil, Kanyakumari District, did B.A.,B.L Degree at The Dr.Ambedkar Government Law College, Chennai during 2006 – 2011. 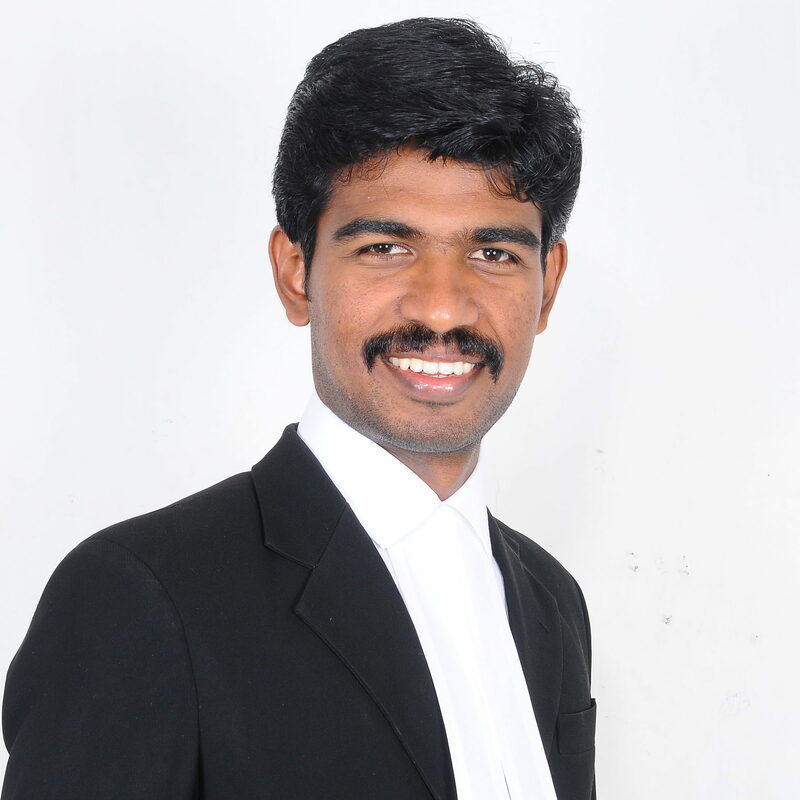 And enrolled as an advocate in the Bar council of Tamilnadu on August 2011. He completed M.L Business Law from, The Tamilnadu Dr.Ambedkar Law University, Chennai during 2011 – 2013.He practiced court litigation at High Court of Madras, City Civil Court, Labour Court, Family court, Consumer Court, DRT/DRAT, Trademarks, and Criminal Courts at Chennai. Have experience in Documentation and Registration of properties. Dealing with Arbitration and Mediation also.